Let the finance team at Mercedes-Benz of Plano simplify the process of getting a car loan or Mercedes-Benz lease in Plano. With years of experience and a network of lenders, the staff at our Mercedes-Benz dealership aims to get you an auto loan or car lease you can afford. Start the car loan application process from the comfort of your home by completing our secure and encrypted online car loan and finance application form. We will contact you with additional information about your car loan or Mercedes-Benz lease in Plano as soon as we have reviewed your application. Mercedes-Benz of Plano’s goal is to help people finance their purchase. Our finance experts at Mercedes-Benz of Plano in Plano aim to help people with all credit situations and types of special finance needs drive their dream car home. Regardless of where you are in the car buying process, you can get our free secure car loan quote for all Mercedes-Benz auto loans. 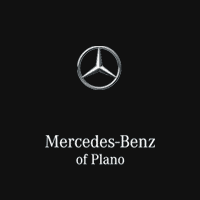 Mercedes-Benz of Plano only works with trusted lenders to bring you low auto loan rates and flexible terms. Use our easy guaranteed secure Mercedes-Benz car loan application and get started with buying your dream car today!